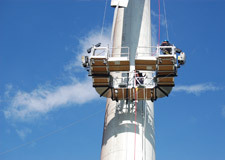 Spider's range of wind turbine suspended access solutions puts workers on the blade or tower surfaces for the full scope of work performed at height. 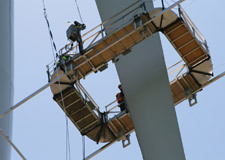 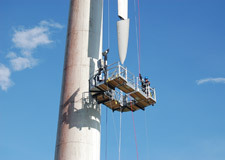 From single point tower access inspection systems to 360° blade access platforms to specialized custom designs, Spider has the modular components, ease of supply and transportability, engineering expertise, and installation know-how to get wind turbine repair work done safely and productively. 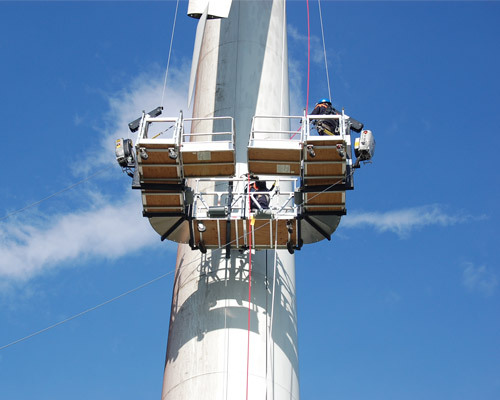 Spider supplied a 360° Blade Access Platform (BAP) with an independent lifeline to enable blade inspection and repair work on the wind turbines. 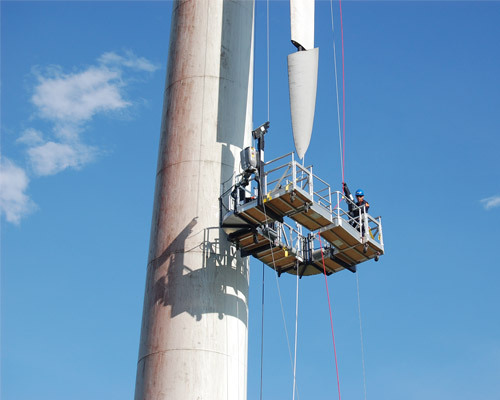 Spider custom designed a 360° Blade Access Platform (BAP) equipped with SC1500 traction hoists and an alternative stirrup design and conducted on-site training sessions to enable safe access for the tip replacement and repair work on the turbine’s blade. 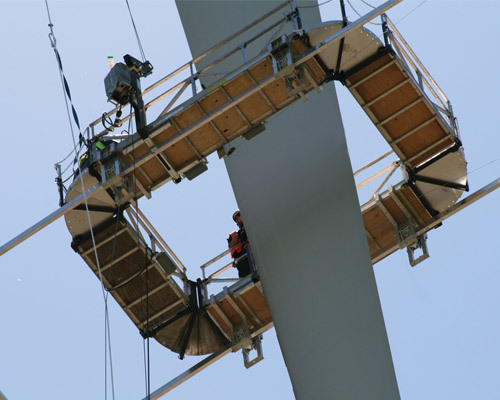 Spider provided a 360° Blade Access Platform (BAP) with special steel subframe to capture the extremely long wind turbine blades for the installation of VG rails.